John A. Wylam serves as a staff attorney for Aimed Alliance. In this position, Mr. Wylam conducts legal research and analysis, provides strategic direction, and drafts issue briefs, op-eds, press releases, and newsletters. John also creates content for the Aimed Alliance website and assists the organization in developing policy positions and public statements on emerging issues. Before joining Aimed Alliance, John worked for the National Multiple Sclerosis Society as a Manager of Advocacy, where he provided legal and regulatory analysis on healthcare access issues for people living with multiple sclerosis as well as directly lobbying state and federal policymakers on behalf of this vulnerable population. 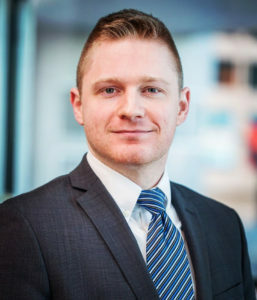 Mr. Wylam earned his Juris Doctor degree from Quinnipiac University School of Law in 2014, where he graduated with honors from the school’s Health Law program. He obtained his bachelor’s degree in English from Virginia Commonwealth University in 2011.